Hey there last-minute shopper! We know you’ve made your list, and checked it twice… but there are so many last minute additions (yes, you should get a gift for your hard-to-buy-for weird co-worker) and little things that need to be picked up “on the way” to a party you didn’t think you were going to attend. Holiday shopping can be daunting this time of year. But you know what’s better than dealing with traffic and lines at El Con or Tucson Mall? Shopping local on Historic Fourth Avenue! We’ve got something for everyone on your list, and no clicking “refresh” on that Amazon tracking number is necessary. So without further adieu, here it is… your 2018 Holiday Gift Guide from Historic Fourth Avenue. It’s even organized by recipient, for easy shopping. Have that one friend that has already started woking on their 2019 fitness goals? We do too. And while you’ll still find us nibbling on all the Christmas cookies until New Year’s Eve, there are some great options for holiday gifting for your fitness-obsessed friend. Floor Polish has tons of great fitness classes available each week, so if your friend has always wanted to learn salsa dancing, tap, or bollywood dance.. a Floor Polish punch card is a great option for gifting. Pick up a punch card and a class calendar, then let them choose their own adventure. If your fitness fanatic friend is into more traditional ways to get their sweat on, check out 4th Avenue Yoga. They also have class passes that are ideal for gifting. It’s a velvet & animal print vibe! 😍 Whether you’re dressing up or down, we’ve got you covered. It’s no secret that desert-dwellers are obsessed with all things cactus. For that hard-to-buy for girlfriend in your life, check out Creations Boutique for cute clothing, jewelry, and accessories that are sure to speak to her soul. Have a friend that is always cooking up something crazy in the kitchen? Look no further than Fourth Avenue for some spectacular and unique ingredients. Fourth Avenue newcomer, Pure Love Honey (tucked away from the Avenue, inside the BOCA courtyard) has amazing flavors of honey and even makes gift baskets. Making them truly perfect for last minute gifting options. While you’re heading through the courtyard, pop into BOCA Tacos y Tequila and snag a jar of their incredible house-made salsa. Chef Maria creates a variety of salsas each week and and sells a small sampling of all the varieties available if you order the chips and salsa. So pull up a chair and place an order. Once you’ve sampled and have found a new favorite, be sure to grab a jar or two to-go and get gifting. Tucson is full of cool breweries and home to tons of beer nerds. Chances are, if you’re a local, you’ve got a beer-loving recipient on your gift list this year. 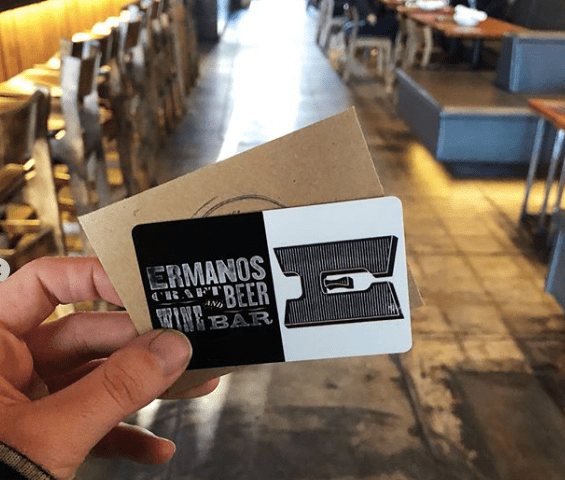 One of our favorite gift options for the beer-obsessed is a gift card to Ermanos. The craft beer bar has tons of amazing, rotating brews on tap, but you can also pick up a six pack of your favorites to take with you. We think the perfect gift might just be a six pack of assorted brews and a gift card to Ermanos for a meal. If you’re lucky, the recipient might even crack open a frosty brew to share with you. Repost @monsoonchocolate: 📯 New origin alert!!! 📯 Our new bar is from Bejofo Estate, an organic cacao orchard in northwest Madagascar. At 80%, it’s our darkest chocolate yet 🖤 Available in house, at the @foodconspiracy, and next week at @nwchocolate ! If you’ve been heading to holiday parties galore, you know that you never want to show up empty handed. When you’re headed to a last-minute soiree, be sure to pick something up for the host – and Fourth Ave has options that are perfect for any party (and any host). Flowers are a classic choice for a hostess gift, and The Flower Shop on 4th is a perfect place to grab a unique and custom bouquet. Headed to a party with a host that has a sweet tooth? Hit up Food Conspiracy Co-Op and grab them a few chocolate bars. And the best part is that they are ethically sourced and most of them are organic too… so it’s a purchase you can feel good about. A bottle of wine is a great choice too, and the experts at Revel Wine and Beer can help you select the perfect bottle. And if you’re really lucky, the host might even open it at the party – giving you the chance to sample the goods too. If you have a friend that’s into showing their Tucson pride, head to Underestimated City or Tiny Town Surplus for shirts, prints, and ball caps that are bursting with love for Old Pueblo. The items at both stores are produced locally, by screen printing artists in town. As a bonus, sign your friend up for a screen printing class at Tiny Town Surplus, or wrap up a copy of their latest newspaper. Or how about that friend that grew up in the 90s and is all about their “swag.” Generation Cool has everything you need to make the cool kids feel hip again. Vintage sneakers, designer duds, even a sweet collection of action figures. If your hipster friends are more into tunes than toys, be sure to check out the Avenue’s two record stores: Hurricane Records & Wooden Tooth Records. If you’re musically challenged or even tragically un-hip, the friendly sales staff at either store will be sure to point you in the right direction (even if that direction is a gift card). If your friends are the book-ish type, the Avenue has something for your gifting needs as well. Antigone Books is a great option for gifting new books, journals, notebooks, and cards. They have a small section of home decor items as well that are perfect for a grab-and-go, last minute gifting option. Shopping at Antigone is a great way to shop local and support a female-owned and operated shop as well. Like the thrill of the chase? Pop over to The Book Stop to do some digging through the stacks of used books. Shopping at The Book Stop is made less daunting by the well curated and meticulously organized sections that are sure to guide you in the right direction. Their selection of vintage maps and postcards also make for a fun and quirky gift, so be sure to check those out as well. One can never have enough candles. Especially in winter – themed or desert scents, ones that are hand-dipped and dyed, or ones that are covered in sparkles. A candle from Rustic Candle Company makes the perfect gift for anyone and everyone on your list. The candles are all made with love, right on the property at Rustic Candle, which makes each one as unique and special at the recipient. A critical component of the last minute gift? The gift wrapping. One of our favorite stores that includes gorgeous gift-wrapping is Pop-Cycle. Head over for all your gifting needs and pick up clothes, art prints and hangings, candles, even desert-inspired beauty products. Pop-Cycle has something for everyone on your list, and will even wrap it up for you and get it ready for gifting. Don’t forget your pups and kitties! If you’ve got a little fur-baby at home, be sure to gift them something too. If it’s time for a new treat or toy, head to Rosie’s Barket! They’ve got a whole store full of the cutest feline and doggie gifts, just in time for the holidays. If you’re looking for a gift for your favorite pet owner, consider a gift card to the self-serve Dog Wash at the Barket. That way the pup can look great in the new year too.